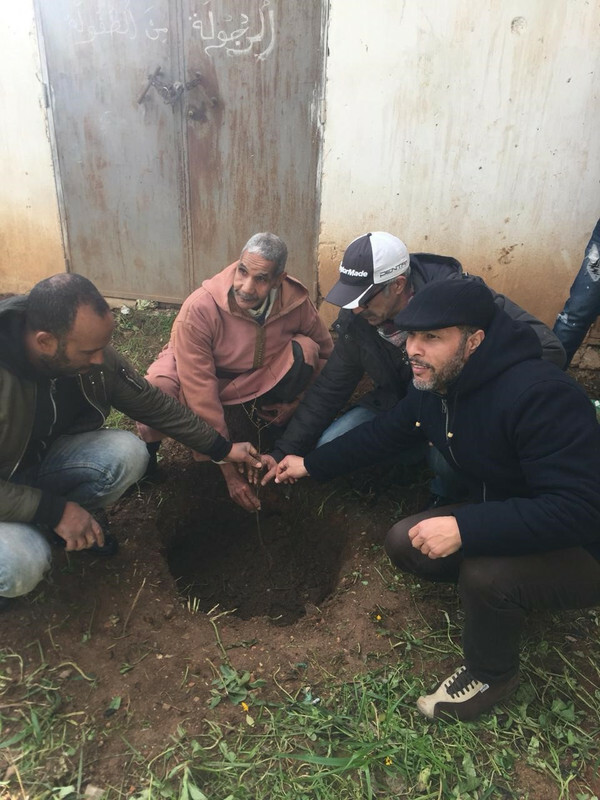 While Ifrane was getting covered under a white sheet of snow, I was glad to join Abdelillah Ghmiza–a representative of the High Atlas Foundation–for a tree planting day in the warmer region of Meknes on that Monday, 21st of January 2019. 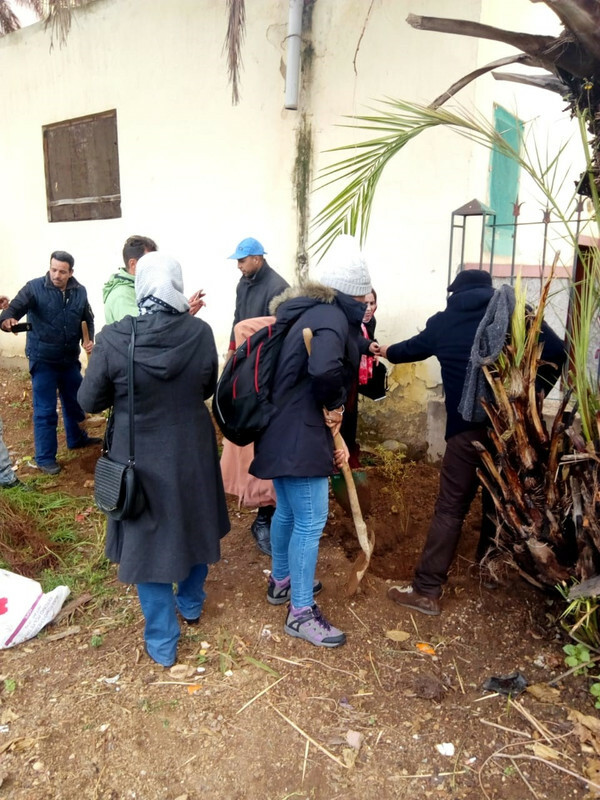 The High Atlas Foundation organised the tree planting event to recognise the associations of the LOTY (Leader of the Year) award ceremony, an initiative organised by the Leadership Development Institute at Al-Akhawayn University in Ifrane. The Leadership Development Institute (LDI) has been organizing the LOTY since 2011. 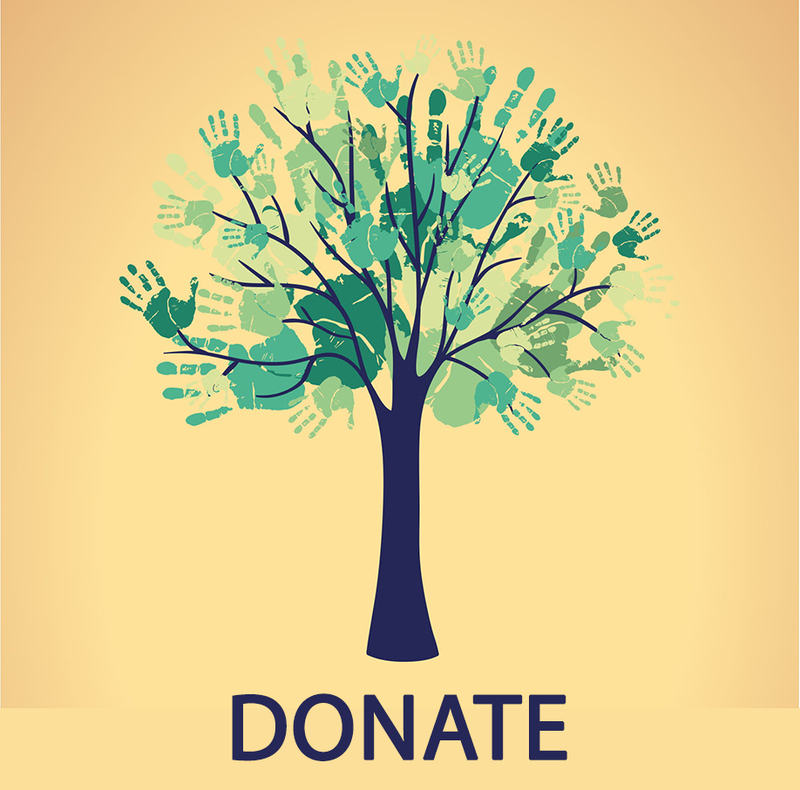 Its mission is to promote and advocate for leadership as well as to encourage associations that commit to develop and empower communities. 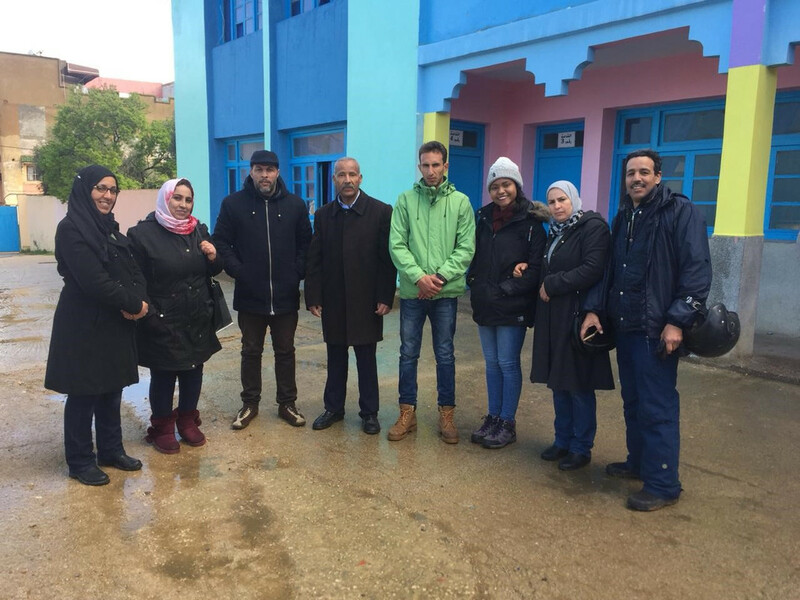 In April 2018, associations in the Meknes region were recognised for their outstanding performance and contribution to the community. Being one of our main sponsors, the High Atlas Foundation agreed to provide the winners with more than 2,000 plants including olive, fig, pomegranate and almond trees. As a representative of the LDI, I was enthusiastic to be part of such a meaningful and rewarding activity. We planted the fruit trees in various regions of Meknes, including a school. It was not only a way to reconnect with nature but also a way to educate the community about the importance of preserving nature and engage the community in sustainable actions. This symbolic event bears testimony of our shared values towards a better and sustainable future. My day was enjoyable alongside the representatives of the associations, volunteers and Abdelillah who kindly instructed me about the incredible work of HAF in Morocco. I am in fact inspired and looking forward to joining them again for the next tree planting day.